On Sale! Up to 5% off on Threshold Ramps at Get Cheap Health Insurance. 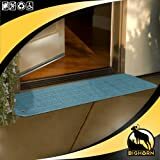 Top brands include EZ-Access, King Of Canes, & SafePath Products. Hurry! Limited time offers. Offers valid only while supplies last. 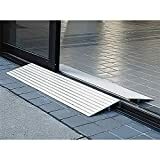 Threshold Ramp 3" - Made in USA - Aluminum threshold ramp for wheelchairs and scooters. 600 lb capacity. 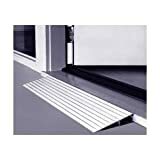 3" high X 17" long X 34" wide designed for doorways, sliding glass doors, and raised landings.